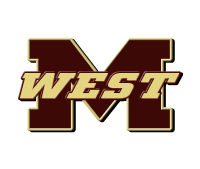 The 2019 Spring Physicals for Magnolia West High School and Magnolia Junior High will be in May 15th. 5. The first form is the Medical history, you will answer all the questions, and when both of you have signed and submitted it. Print a copy to take with you to get your physical. 8. If you have multiple children, you only need one parent account and can link to multiple student accounts. Magnolia ISD School Board policy requires a physical annually. This physical needs to be performed on or AFTER April 1st of the year that fall sports begin. Physicals performed in the fall of the year before will be accepted. The forms need to be completed on the current physical forms (located on arbiterathlete.com in your student's account), and all previous forms will not be accepted. The University Scholastic League (UIL) periodically changes the wording or either adds or deletes certain portions of the required paperwork, so it is VERY important to use the current forms while completed required paperwork. If you are not certain as to the form you have have, you can always call the athletic trainers to verify if you have the correct form. Again, if you have any questions, please call the athletic training office at 281.252.2550 ext. 7266.